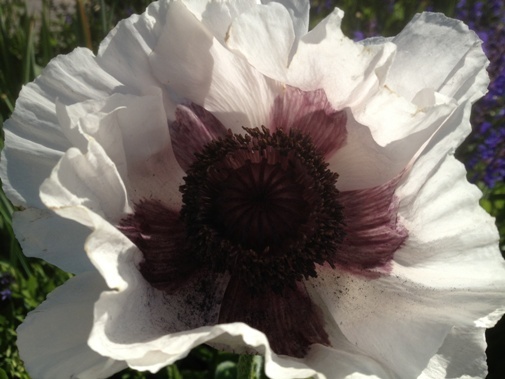 Peonies are centre stage right now but a a few oriental poppies are holding their own. 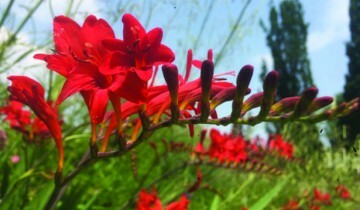 In the Entry Garden, Papaver orientale ‘Royal Wedding’ stands tall after the rain. Paeonia lactiflora ‘Red Charm’ (herbaceous garden peony) in its full glory in the Entry Garden. 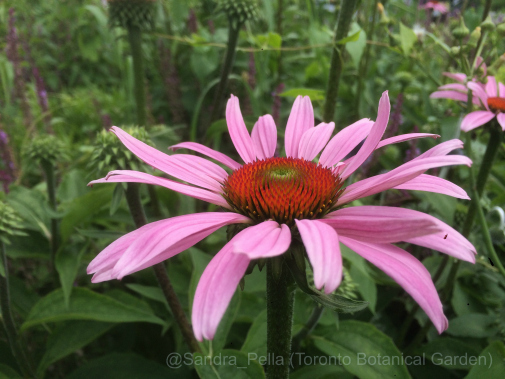 The current show-stoppers in the Perennial Border happen to be Itoh peonies. 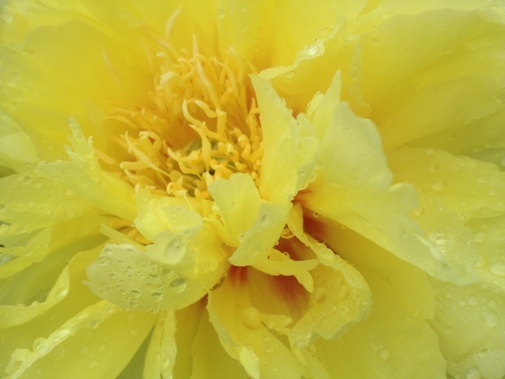 Here, Paeonia x ‘Bartzella’ (Intersectional hybrid, Itoh peony) is truly spectacular. 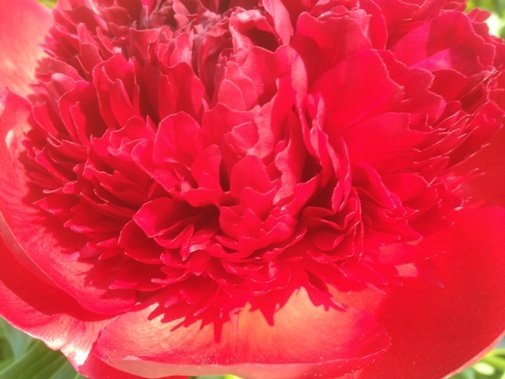 These peonies flower after tree peonies and are hybrids between the tree and herbaceous peonies. 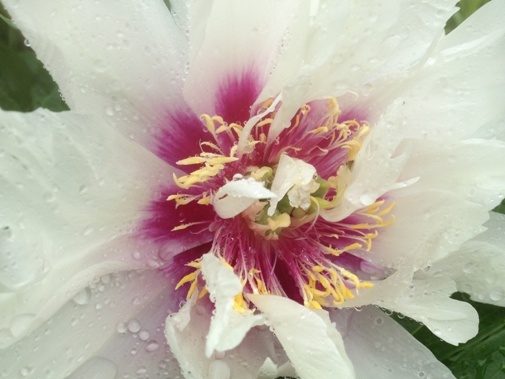 Paeonia x ‘Cora Louise’ (Intersectional hybrid, Itoh peony) is another stunner and holds up well after a good rain. 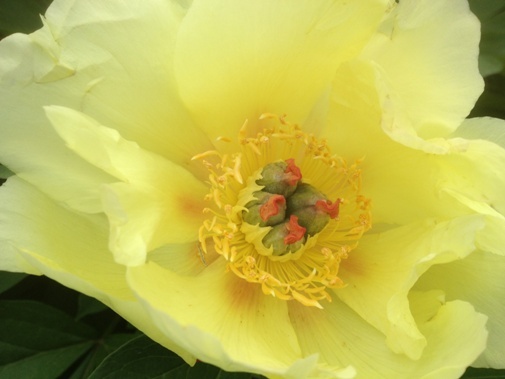 We could truly rename it Itoh Alley this time of year, as Paeonia x Sequestered Sunshine’ (Intersectional hybrid, Itoh peony) adds to the splendour. 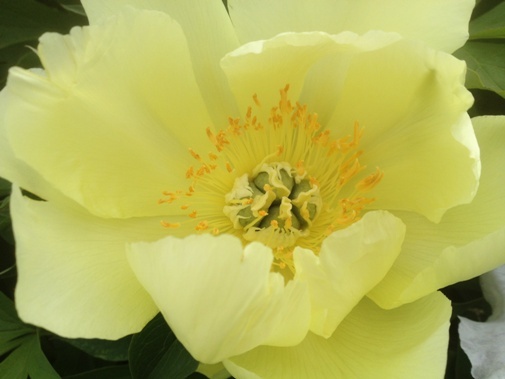 Paeonia x ‘Going Bananas’ (Intersectional hybrid, Itoh peony) is a paler yellow. 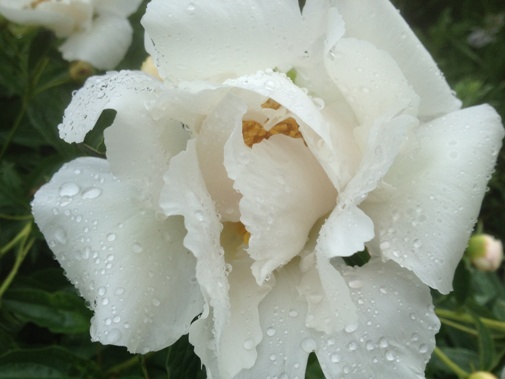 Groups of Paeonia lactiflora ‘Krinkled White’ (herbaceous garden peony) were planted in 2006 in the Entry Garden and have matured into true features of this garden in late spring/early summer. Clematis are also opening and stopping visitors in their tracks. 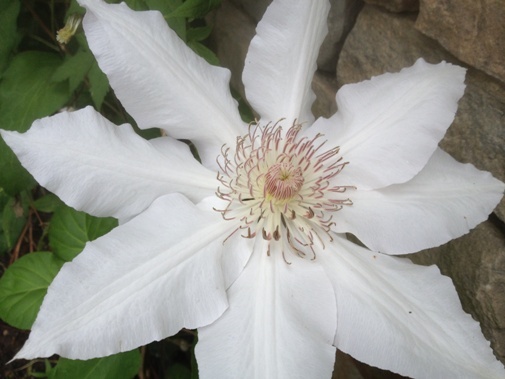 In the Arrival Courtyard under the trellis is Clematis ‘Hyde Hall’. 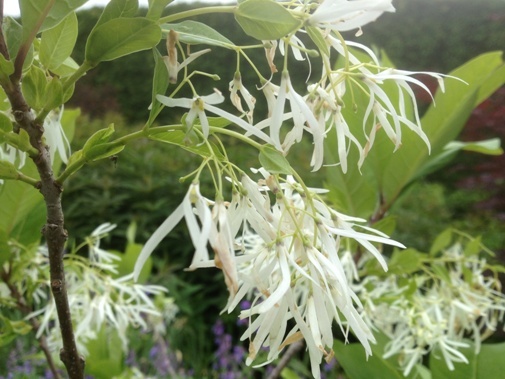 In both the Entry Garden & West View Terrace, Chionanthus virginicus (fringe tree) is flowering. 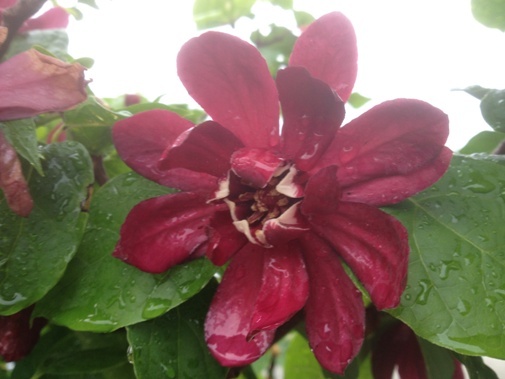 Sinocalycalycanthus raulstonii ‘Hartlage Wine’ (Allspice) greets you as you enter the West View Terrace. 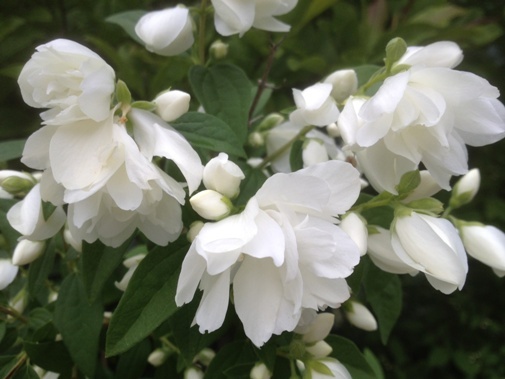 Philadelphus ‘Innocence’ (Mock orange) perfumes the West View Terrace. 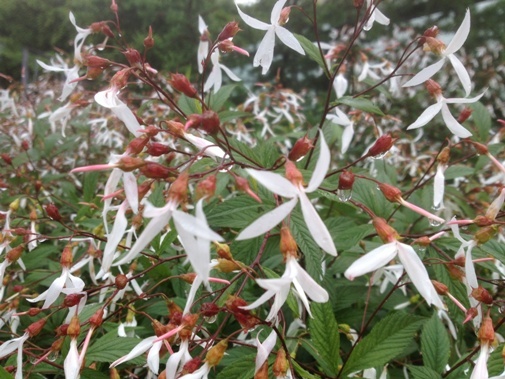 Gillenia trifoliata (Bowman’s root) is almost shrub-like in the Entry Garden. 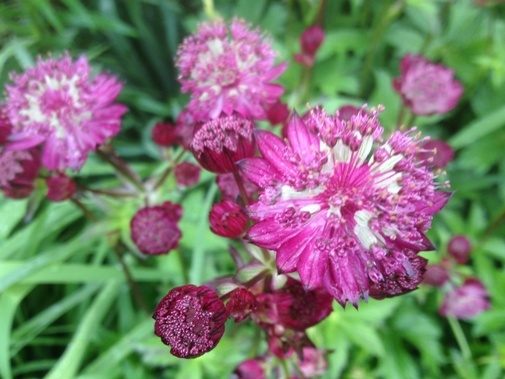 Astrantia major ‘Star of Fire’ (Masterwort) in the Entry Garden, parking lot side. 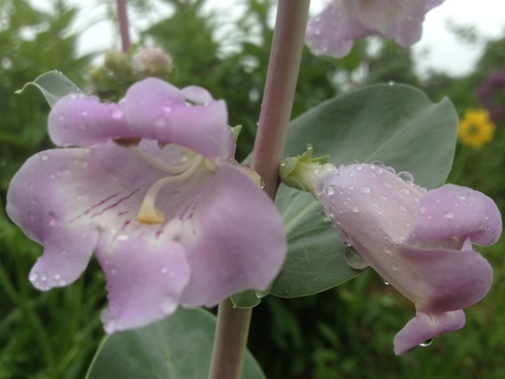 Penstemon grandiflorus (large beardtongue) in the Woodland Walk. 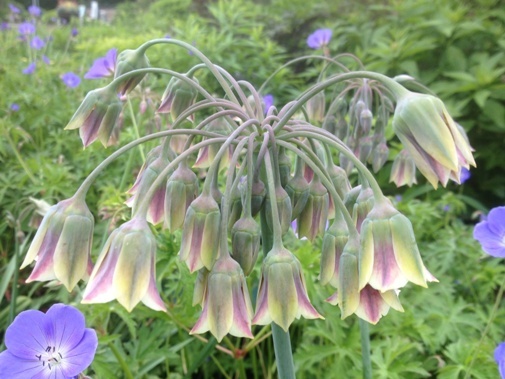 Although there are many more plants in bloom, this week let’s end on Nectaroscordum siculum (Sicilian honey lily) a flowering bulb in the genus Allium.